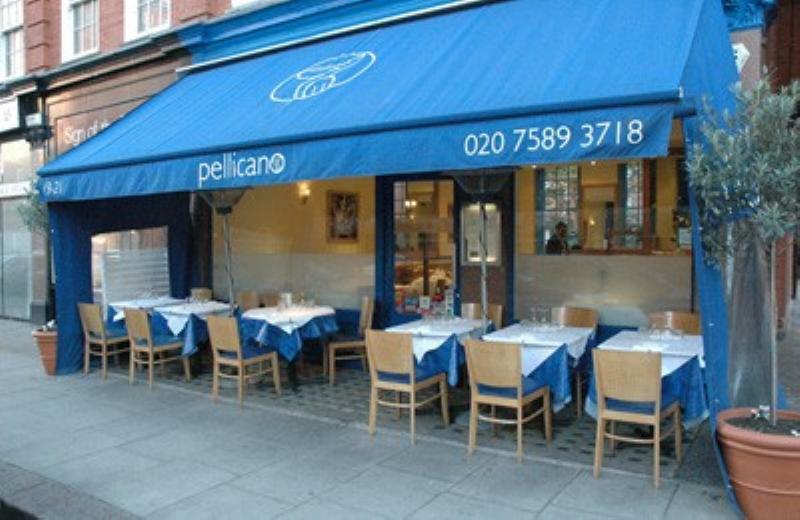 Pelican motifs show up in some of the colourful artwork that decorates this long-running Chelsea favourite, Pellicano. 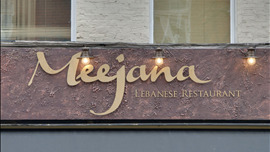 This family operated restaurant has been open since 2000, and it has a contented neighbourhood feel. Yellow and blue colours help to create a sunny Mediterranean mood, and tables under the canopy are popular in fine weather. Sardinia's native regional cuisine dominates much of the seasonal menu, whether it's peppered ham with grilled Pecorino, homemade maccarrones pasta with lamb ragù or a salad of Sardinian artichokes with golden beetroot and bottarga (salted mullet roe). 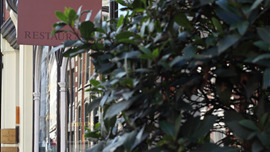 Elsewhere, you might find venison carpaccio with myrtle and quince compote, baked whole wild sea bream with potatoes, and grilled veal chop with broad beans, peas and mint. Weekly specials and fixed-price lunch menus are worth noting, and the comprehensive wine list has a fine showing of bottles from Sardinia and regional vineyards on the Italian mainland. Creamy buffalo mozzarella with grilled seasonal vegetables. Sardinian peppered ham with grilled Pecorino cheese. Grilled goat's cheese with baby spinach and beetroot carpaccio. Chicory salad with pear,pomegranate and smoked ricotta cheese. Angus Beef fillet carpaccio with rocket and Parmesan shavings. Smoked sword fish with artichokes and olive tapenade. Fresh tuna tartar on Sardinian carasau bread, extra virgin olive oil and lemon. The fresh tuna on the menu has been blast chilled in the premises for safety. Gragnano spaghetti with mixed sea food, fresh tomato and chilli. Homemade tagliatelle sautéed with Sardinian sausage & broad beans. Linguine with fresh clams, garlic, extra virgin olive oil and chilli. Homemade fine pasta ribbons with fresh crab, garlic, cherry tomatoes, chilli and rocket. Homemade Sardinian ravioli filled with potato, Pecorino cheese & mint served with tomato sauce. Homemade tortellini pasta filled with seasoned meat with ham and mascarpone sauce. Homemade potato gnocchi with gorgonzola cheese and walnuts'. (Some of the above pasta dishes and pizzas are available gluten free on request) £ 1.00 surcharge. Sardinian artichoke salad with celery, pecorino cheese, bottarga oil and lemon dressing. Spaghetti with lobster, fresh tomato, garlic and chilli. Tomato, mozzarella, artichokes, ham and capers. Tomato, mozzarella, artichoke, fresh Sardinian sausage and pecorino cheese. Tomato, Mozzarella and spicy pepperoni sausage. Tomato, mozzarella, cooked ham, prosciutto, Sardinian sausage and speck. Tomato, mozzarella, gorgonzola and speck. Tomato, mozzarella and mixed grilled seasonal vegetables. Burrata (creamy mozzarella), cherry tomatoes and rocket. Olives, mushrooms, prosciutto crudo*, prosciutto cotto, salami, carciofi Acciughe, speck, salame piccante. Mixed grilled fish served with sautéed fennel. Fillets of wild sea bream grilled with spinach and parsley new potatoes. Grilled king prawns, garlic & chilli with pancetta and crushed potato cake. 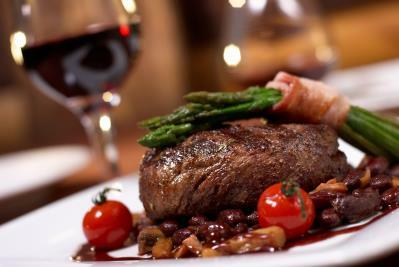 Grilled fresh tuna served with grilled seasonal vegetables. Grilled veal chop, with broad beans & peas with mint and roast potatoes. Roasted spicy whole baby chicken with a julienne of seasonal vegetables and potatoes. Roasted rack of new season lamb in herb crust with spinach and mash potato. Grilled chicken paillard served with broccoli and potatoes. Veal cutlet Milanese with rocket and cherry tomatoes and parmesan shavings. Fresh spinach sautéed with garlic and chilli. Pea's sautéed with bacon and onions. Mixed, Green leaves or tomato salad. Rocket and shaved parmesan salad. Sardinian pastry filled with pecorino cheese, Lemon & orange rind (warm) with corbezzolo bitter honey. Poached pear marinated in a saffron syrup, filled with marzipan and wild berries coulis. Homemade ice cream & sorbets. Chocolate fondant (hot) with vanilla ice cream. Thin apple tart with hazelnut ice cream. Traditional dessert of mascarpone cheese biscuits fingers, coffee. Almond cake with mascarpone cream. Selection of mixed berries with sorbet. Selection of five Italian cheeses. Gorgonzola cow milk, natural fermentation: Taleggio DOP, Ocelli in chestnut leaves. Sheep & cow milk: Ocelli al Barolo. Cow's & goat's milk: Ricotta mustia, Pecorino fiore sardo.